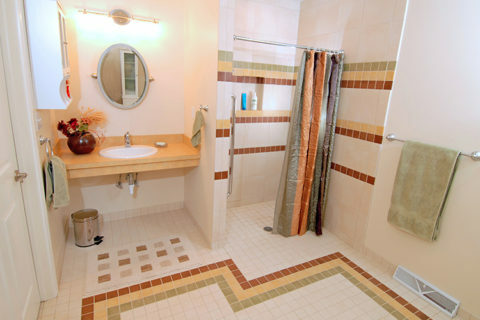 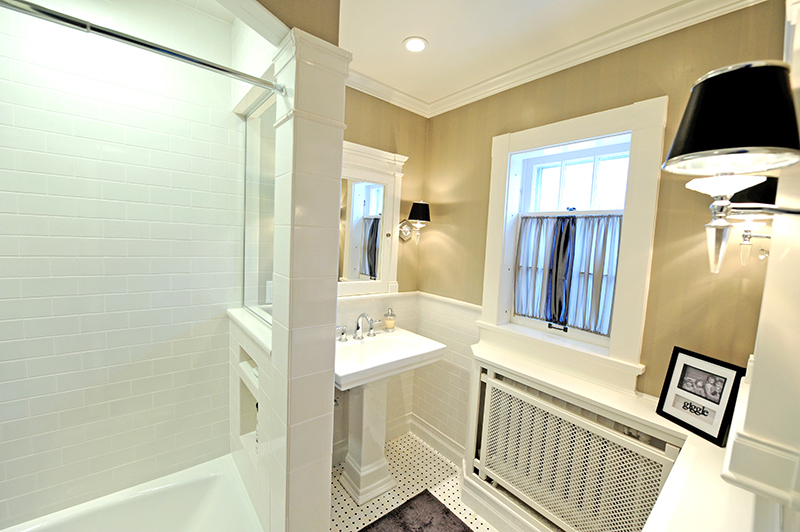 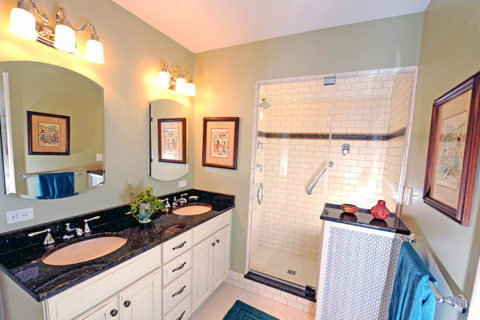 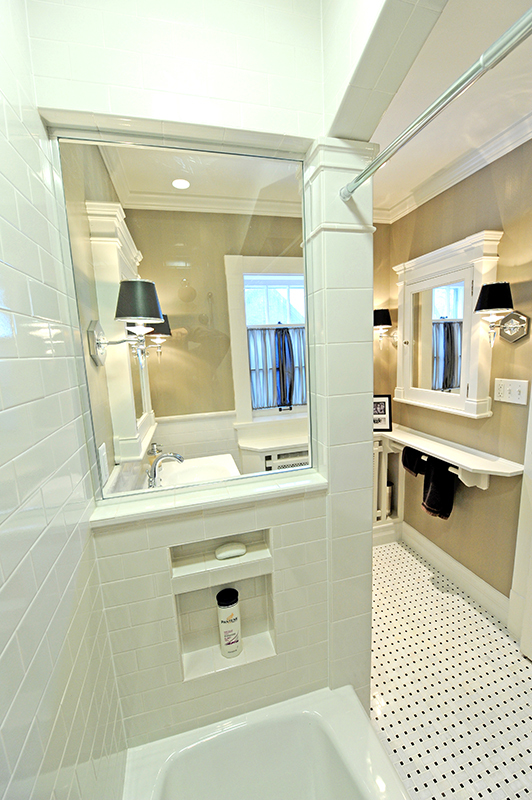 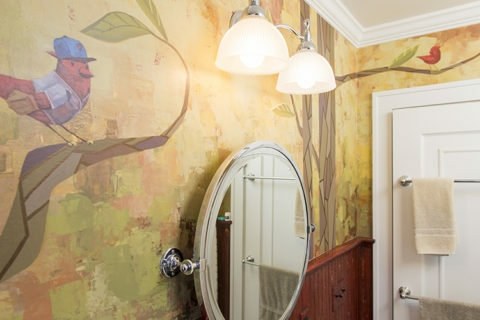 This guest bathroom was one of many remodeling projects that Karlovec & Company completed in this 1922 Shaker Heights, Ohio Tudor home. 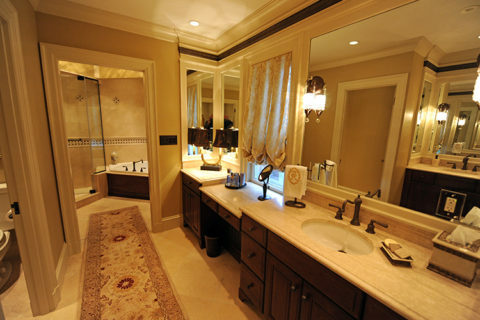 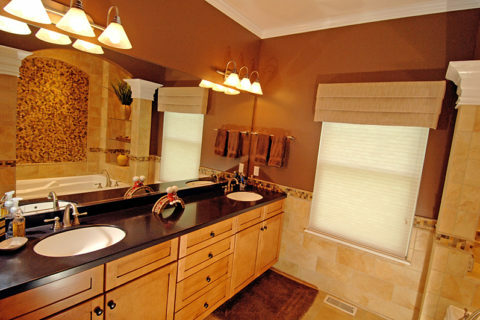 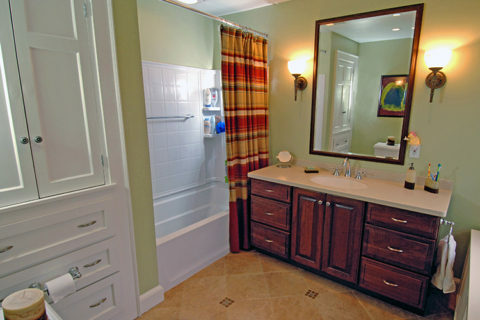 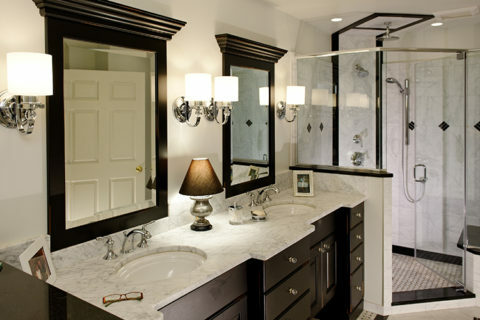 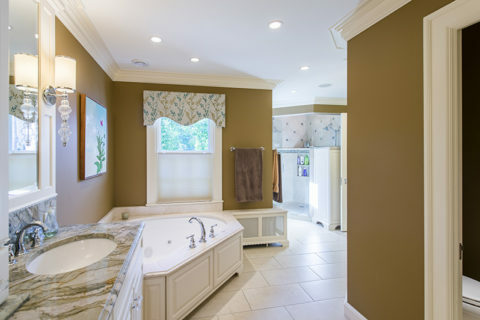 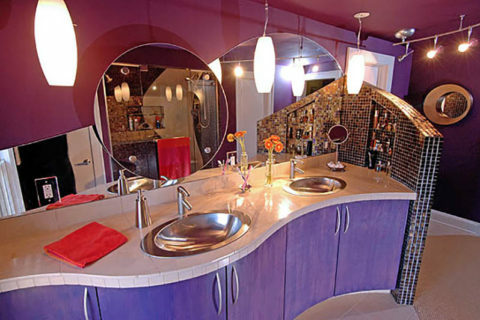 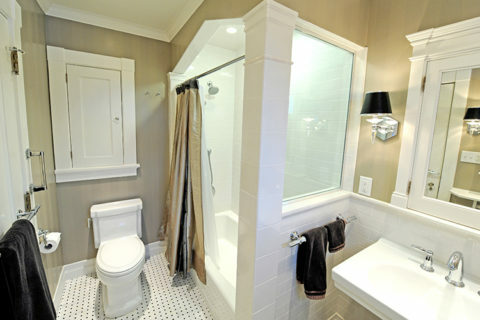 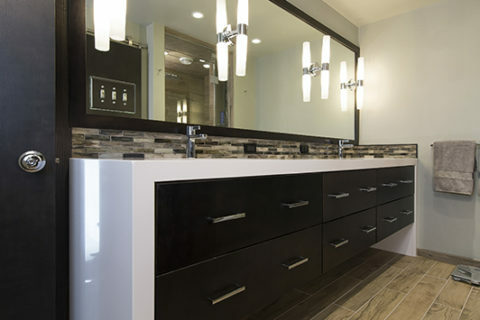 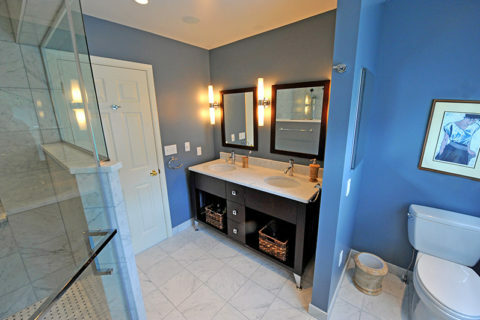 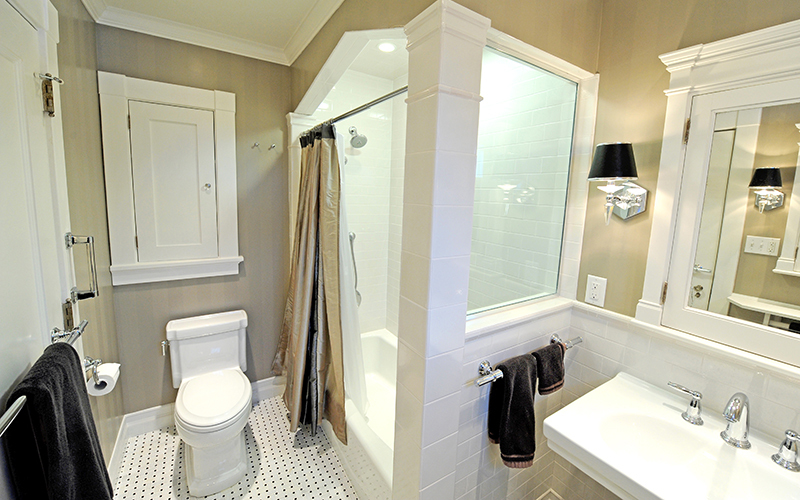 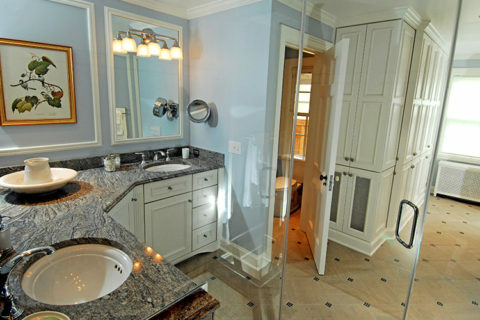 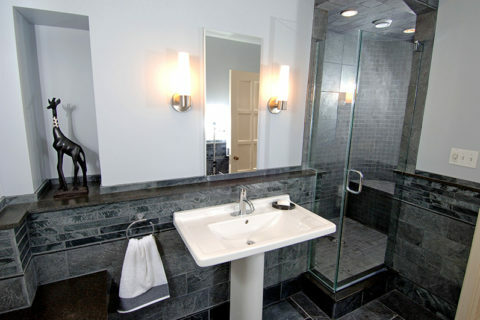 The space was designed with thoughtful touches such as two medicine cabinets with mirrors, both of which were salvaged during demo of this bath and the accompanying master bath. 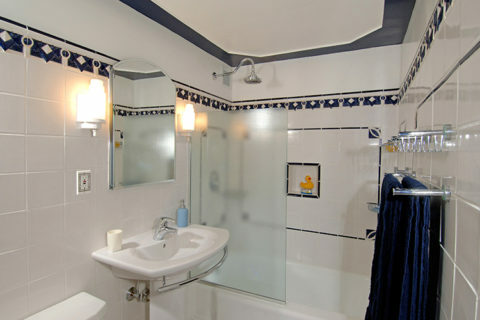 They were then repaired, reinstalled, and repainted. 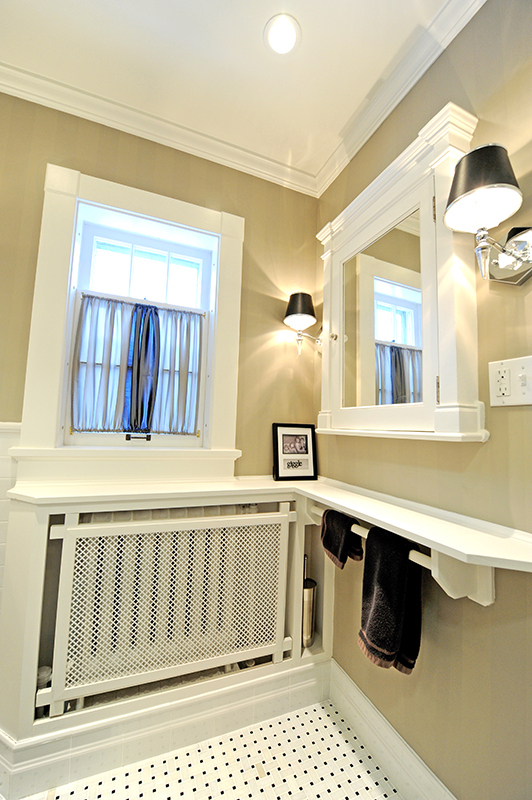 The radiator cabinet was custom-built on site and includes a shelf extension that flows under one of the two salvaged medicine cabinets. 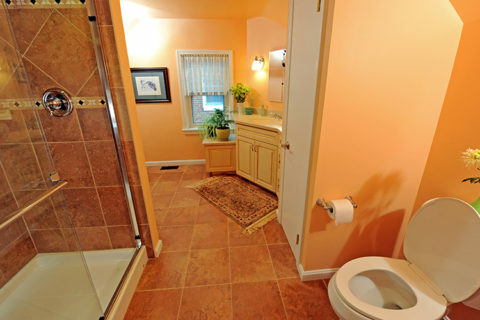 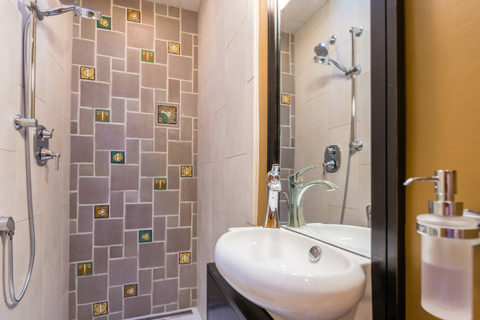 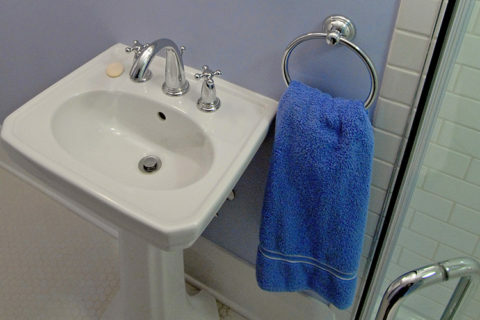 This corner of the bathroom was designed into the project so that (for example) a wife may dry her hair or apply makeup while her husband is brushing his teeth or shaving at the pedestal lav. 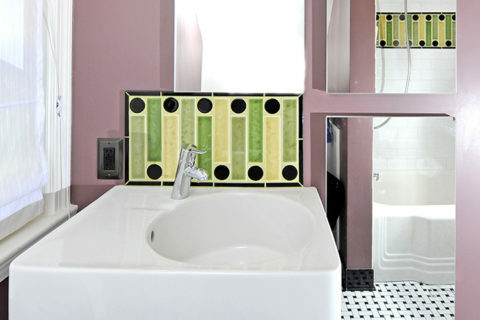 The tub surround was designed to include two columns, both of which are tiled with decorative trim pieces offered by the tile maker. 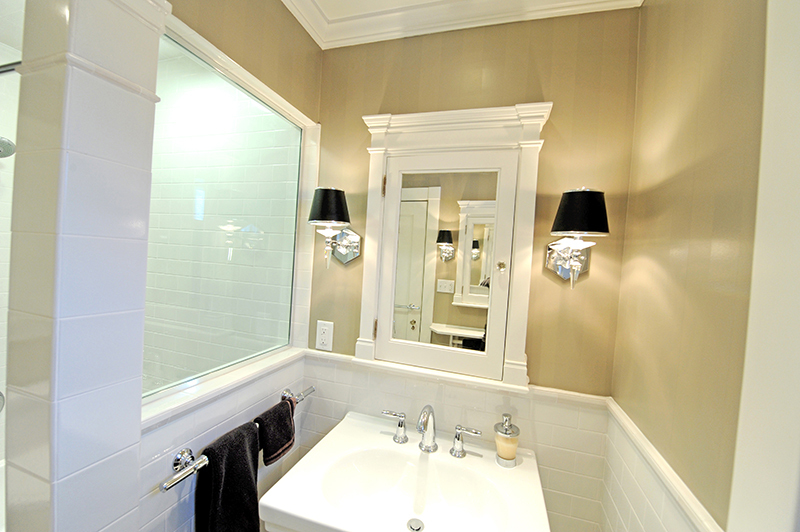 The tile trim pieces were selected specifically to coordinate with the trim on the original, 1922-built medicine cabinets. 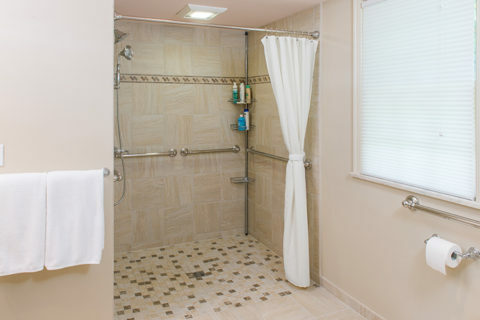 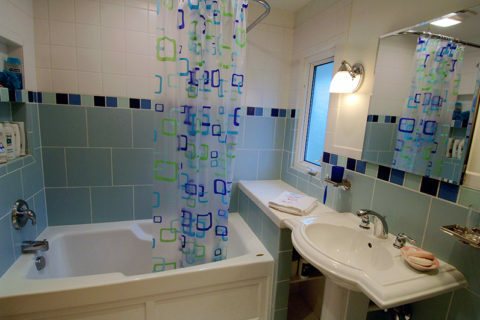 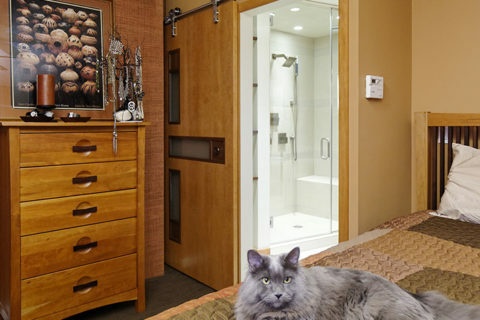 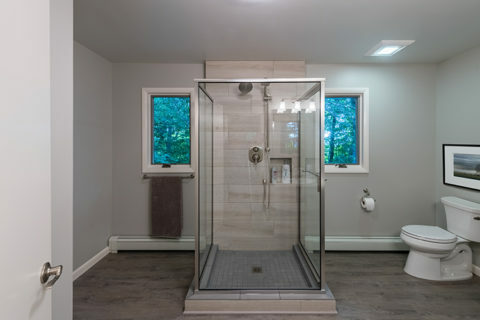 A “window” was designed into the tub/shower in order to make the bathroom feel bigger than it is. 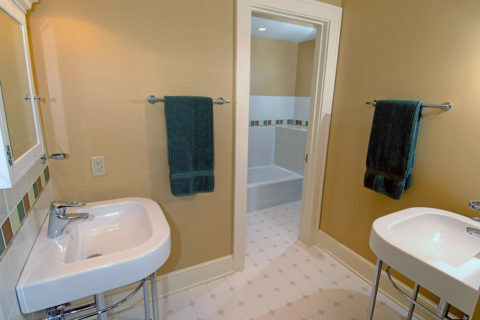 Comments: That “window” at the foot of the tub really makes the space feel a lot bigger than it is.